The trade fair for organic food. The World´s Leading Trade Fair for Organic Food, combined with VIVANESS, International Trade Fair for Natural and Organic Personal Care, is an important business event, an emotional event for the sector, and both a get-together and an opportunity for positioning. 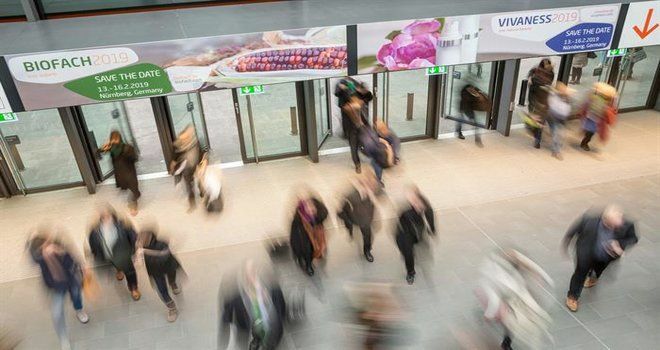 The Biofach 2019 exhibition will be held from 13 to 16 February at Messe Nuremberg, Germany. Why exhibit at Biofach 2019 Nuremberg? Biofach is the place where supply meets demand – for both visitors and the exhibiting companies. Manufacturers present their company and products to the whole community and observe and analyse the market and position themselves for the competition at the same time. At Biofach, customers, suppliers, partners and potential new customers meet personally in a comparable way.